We all have a crazy chicken lady in our lives. 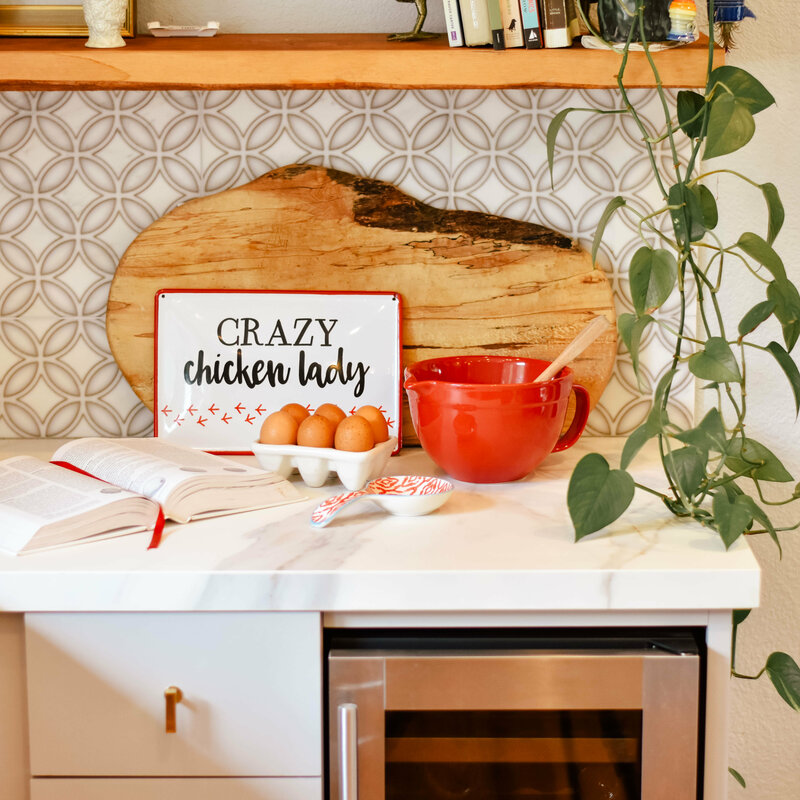 Celebrate her (and thank her for all the delicious eggs) with this cute sign. 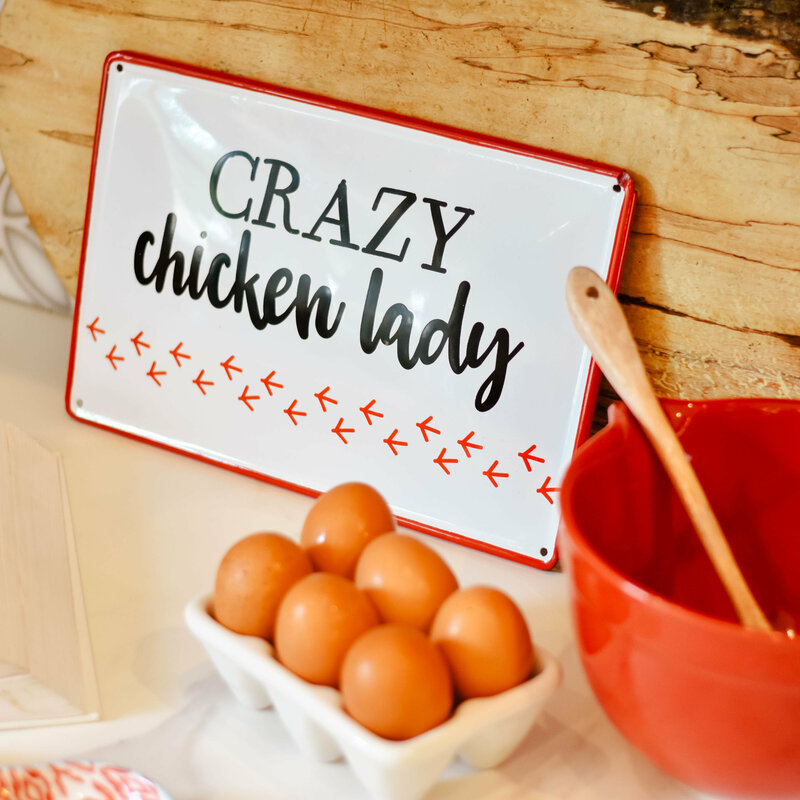 This painted metal sign can be hung indoors or outdoors and brings a fun farmhouse touch to any space!